Sergio Perez extends his Force India contract into 2018, prolonging his sometimes fractious partnership with teammate Esteban Ocon. Mexican driver Sergio Perez will stay at Force India next season in an unchanged line-up with Frenchman Esteban Ocon, the Formula One team said ahead of the Singapore Grand Prix on Sunday. The deal will take Perez, who joined the Silverstone-based outfit in 2014 after a single unhappy season at former champion McLaren, into a fifth successive season with the team. "Alongside Esteban, retaining Sergio gives us stability going into next season and one of the most exciting driver pairings in Formula One," said the team's co-owner and principal Vijay Mallya. The Mercedes-backed 20-year-old joined Perez at Force India at the start of this season. The pair have clashed on track several times but have been instrumental in putting the outfit on course to finish fourth in the overall standings for the second successive year. "Staying with Sahara Force India was always my priority," said Perez, who had been linked with other teams, including Renault which has now opted for Spaniard Carlos Sainz. "It's a team that has allowed me to show my talents as a driver and I feel very happy here. "I'm proud of everything we have already achieved together and I think there is more to come." Perez has seven F1 podiums in his career, four with Force India and the other three all during a breakthrough season with Sauber in 2012 that earned him a move to McLaren in 2013. With Perez confirmed at Force India and Sainz at Renault, the focus now shifts to Felipe Massa and his future at Williams. The Brazilian, who came back from a brief retirement this season, is out of contract at the end of the year. There are several contenders for his seat, including Robert Kubica, who has brought retired champion and former Williams driver Nico Rosberg on to his management team. It would also appear to leave Mercedes-backed junior Pascal Wehrlein, who is expected to be replaced by Ferrari junior Charles Leclerc at Sauber, short of options. 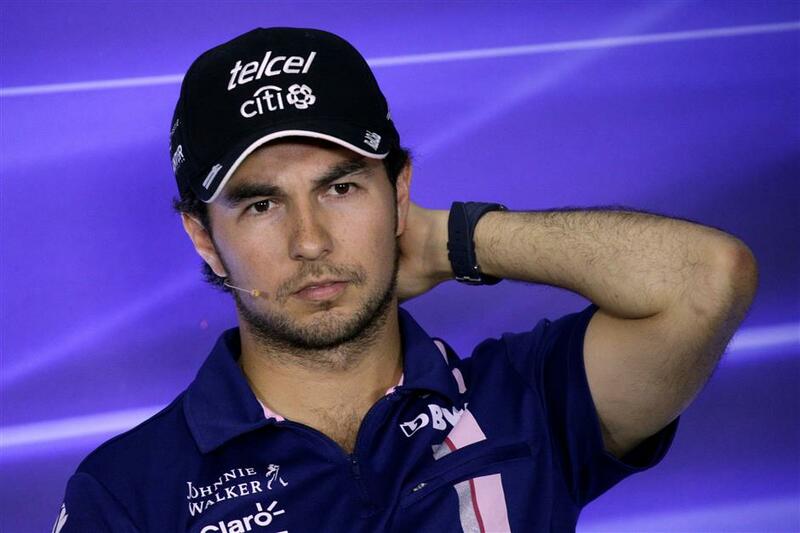 The 22-year-old would have been favurite to land the seat at Mercedes-powered Force India had Perez moved on. Fernando Alonso's future is also up in the air but the double world champion is set to agree an extension to his three-year stint at McLaren, after the Woking-based squad announced it would be swapping Honda engines for Renault ones. Perez is currently seventh in the overall standings, three points ahead of Ocon in eighth. Mexican Sergio Perez has extended his Formula One contract with Force India for another year in 2018.